Hey, girls! Are you ready to samba at the beach? 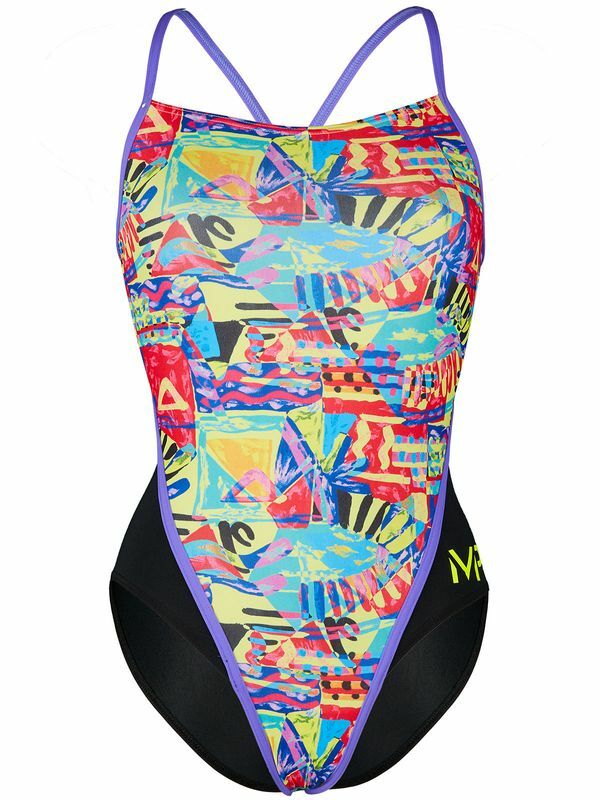 The Michael Phelps Riviera Racing Back Girls’ One Piece will put you in the mood for a party! Featuring bold splashes of sunny yellow, electric tangerine, ruby, cobalt, and azure, this stylish look features sapphire accent straps and sleek black colour blocks over the hips along with a golden Michael Phelps logo at the side. The brainchild of Michael Phelps and Coach Bob Bowman, the Michael Phelps Riviera Racing Back Girls’ One Piece is every young swimmer’s BFF. Made with chlorine resistant Polyester Aqua Infinity fabric, this one piece will stay looking and fitting like a dream!